Franklin, TN – Franklin Police want to identify this man, wanted for stealing the cell phone of a store clerk at the CoolSprings Galleria. It happened on 10/07/2015, at 11:55am. 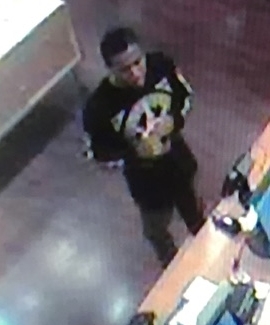 The suspect entered the store and took the clerk’s phone from the counter. Crime Stoppers will pay a cash reward of up to $1,000 for information about this suspect or case: (615) 794-4000.